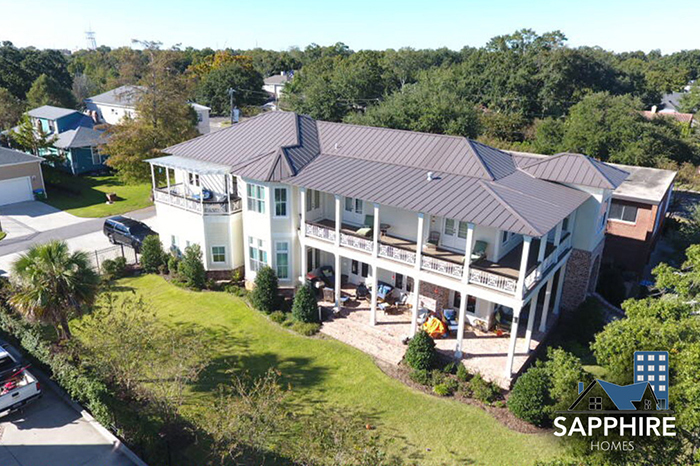 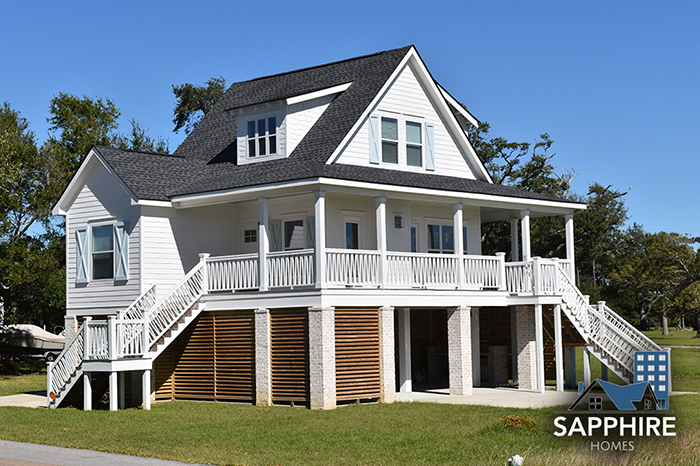 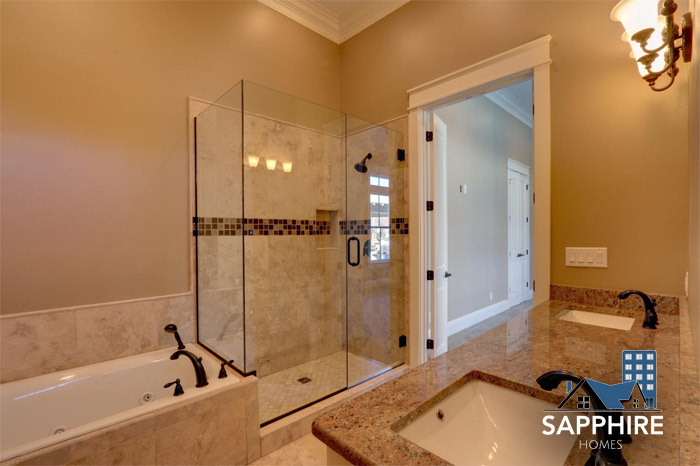 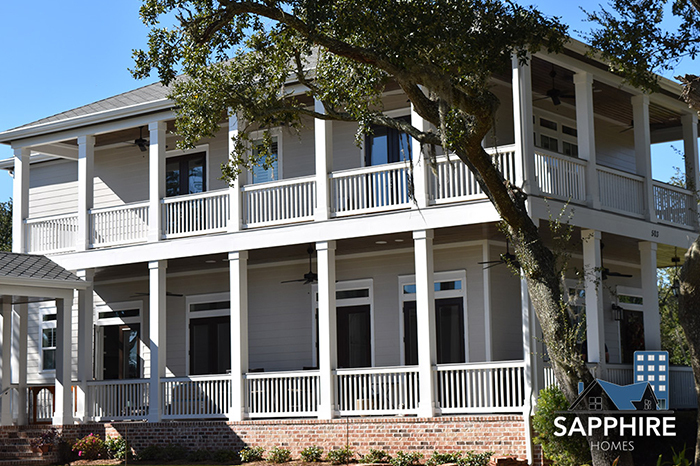 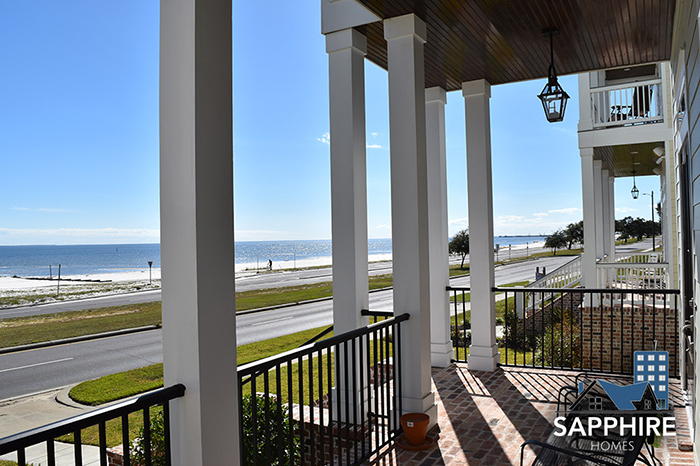 Sapphire Homes, LLC is the premier custom builder for your dream home along the Mississippi Gulf Coast. 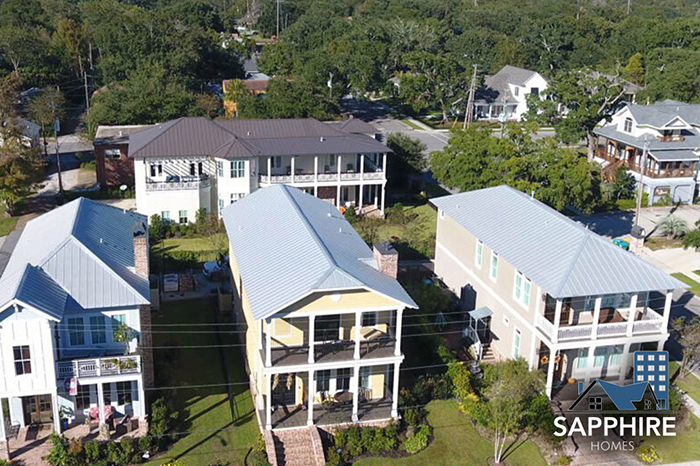 Our versatility allows us to help you design a home on your lot, use our licensed Realtor to purchase and build on a listed property or customize one of our existing floor plans currently built in several of our communities. 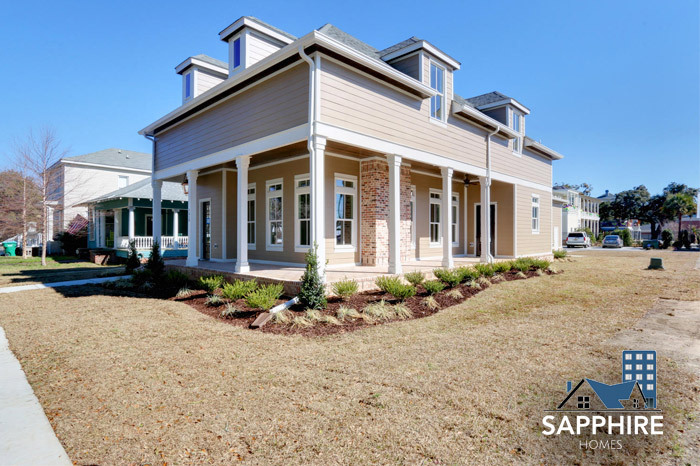 Features for new home construction include triple-stage crown moulding, solid wood cabinets, stylish wet bars, custom tile showers with frameless glass doors, coffered ceilings, granite countertops and elegant, solid-surface flooring. 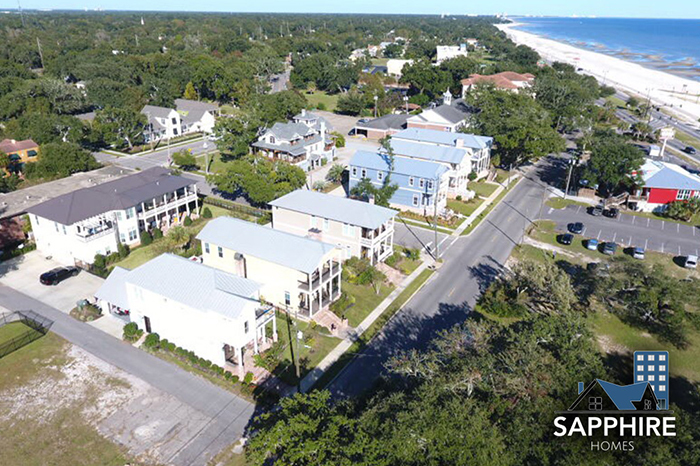 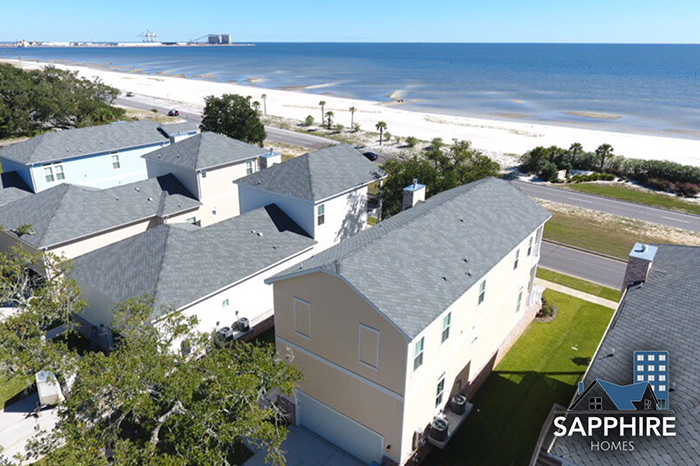 Our goal at Sapphire Homes is to build a home that will withstand the high winds associated with the occasional tropical storm when living near the Gulf of Mexico.   We follow the Insurance Institute for Building and Home Safety (IBHS) and their Fortified Home TM design when we build our homes so that homeowner will have peace of mind knowing that they have done everything possible to protect their family and new home investment. 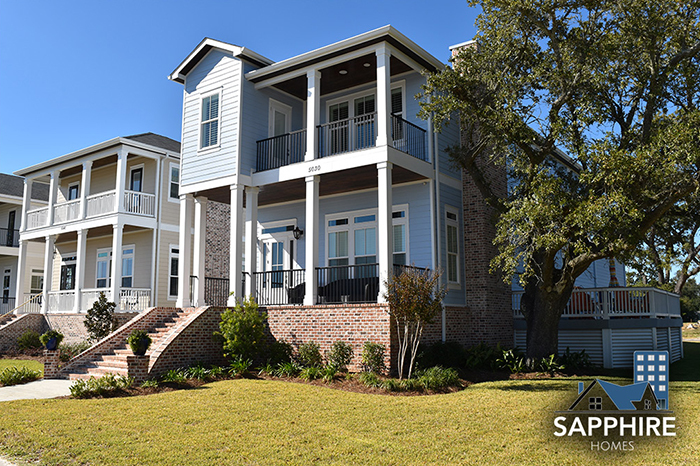 We utilize sustainable products such as Huber Engineered Woods ZIP System© roof and wall sheathing and AdvanTech© flooring, open-cell spray foam insulation to provide energy efficiency, as well as energy efficient heating and cooling systems and water heaters to save you money and encourage an eco-friendly neighborhood for a greener environment.